This cheerful design is bound to make everyone joyful! 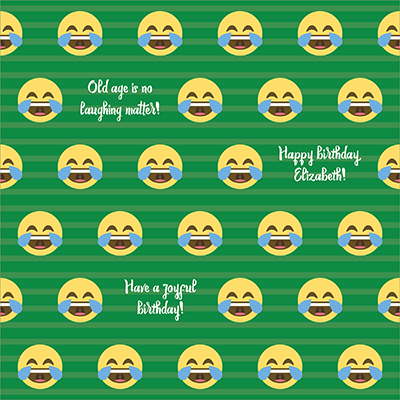 Available in three colors (blue, green, or pink), this gift wrap is perfect for all ages, and any occasion! Add a funny message, sure to make your recipient LOL!